All power was given to Jesus. When you pray to the Father, you're to pray in Jesus Name. 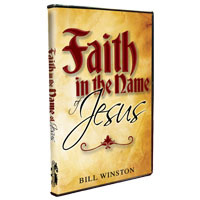 Learn the value of the Name of Jesus and find out what that Name can do for you. After listening to this series, you will have a new perspective on the Name of Jesus.